1. They have successfully passed the Successful Hypnotherapy Diploma Course and/or the Thrive Programme training course. 2. They have undergone a specified amount of hands-on training and experience (set by the Council of Management and reviewed annually). 3. They have undergone their own training therapy (a full course of Pure Hypnoanalysis) or a course of the Thrive programme with an Advanced Trainer as appropriate. All IAEBP Members are committed to Continuing Professional Development. CPD is about continuing to train and study in a particular field (hypnosis, psychotherapy, psychology etc) and updating skills and techniques that are already learned. This means that each Member attends a number of advanced training workshops and seminars every year. There is a minimum standard of CPD that must be achieved each year. The standard is set and reviewed annually by the Council of Management. Supervision is mandatory for all IAEBP Members. Supervision, or more specifically, ‘Clinical Supervision’, is not about having somebody watch over your shoulder while you are working, it is about having a professional relationship with someone trained and experienced in your particular field where, working together, you can ensure that you are providing the very best treatment for your clients. This, typically, would mean having weekly meetings where the therapist would discuss issues or difficulties with their clients, their personal life, or a combination of the two. 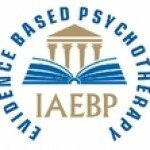 Recently, the IAEBP recognised that the common therapeutic ‘model’ of supervision wasn’t entirely suited to the rapid type of therapy that its members practise, so it developed its own model. Very simply, we broke down supervision into two separate strands: Personal Support and Professional Support. Every IAEBP Member is now encouraged to get their supervision (which is a condition of Membership) from two different sources (therapists). We brought in some outside experts to help us design this new support/supervision strategy and we now have some experienced IAEBP Members who are trained in either Personal Support or Professional Support. These Members are indicated on the ‘find a practitioner pages’, with either ‘Pers. Support’ or ‘Prof. Support’ after their name. Starting in 2003, as part of its commitment to providing the most professional service possible, the IAPH, the forerunner to the IAEBP, was the first and perhaps the only UK hypnotherapy organisation to check that none of its Members were registered on what was then known as the ‘POCALS’ list. The ‘POCALS’ list (Protection of Children Act List System) was essentially a list of those people who had offended against, or where there was reasonable evidence to suggest that they had offended against, children. After a few years, government policy changed and it became impossible to check against just this one register/list. POCALS became part of the newly-created ‘Criminal Records Bureau Checks’ which in turn have become part of the Disclosure and Barring Service. Disclosure and Barring Service Checks – ‘DBS Checks’ – are available to certain individuals who work directly with either children or other vulnerable people. The check itself involves a check for a criminal record and checks against various lists, such as POCALS or LIST99. All Associates, Members, Accredited Members and Fellows of the Association agree to adhere to the following guidelines. dilemma that those working within the therapeutic profession may face. a) Endeavour to promote self-determination in clients, whilst realising that there may be limits imposed upon this by clients’ personal characteristics, mental state, or circumstances. c) Respect all individuals’ rights to privacy and confidentiality. In relation to this, practitioners should avoid publishing or declaring any information relating to any client or ex-client in a form that is likely to identify such person, except with the informed consent of that individual, unless there is good reason to do so. g) Obtain informed consent to breach confidentiality, unless there are good reasons not to do so, for example in the cases described in 3.d.i. adversely affected by therapy. In such cases, it may be necessary to consult and cooperate with other professionals regarding treatment. It may, also, be appropriate to request that such clients ask their G.P. to give written agreement to their undergoing the treatment. i) Endeavoring to pay the Annual Dues of the Association on or before the due date of payment and must accept, in the absence of such payment, that Membership shall immediately lapse and that benefits of Membership shall cease. Practitioners must not advertise themselves as belonging to the Association, unless they have paid their Annual Dues. ii) Never to use their Membership of the Association as any form of accreditation for any commercial activity other than the establishment of a bona fide Private Practice in psychotherapy. iii) Never to use Membership of the Association as any form of accreditation for the teaching of psychotherapeutic techniques, unless all details of such teaching have been submitted to and approved by the Council of Management. l) Maintain professional indemnity insurance (Minimum £2,000,000 cover) and that they will only conduct a Private Practice in psychotherapeutic techniques upon receipt of clear evidence that they are being covered by such a Policy. b) Keep abreast of current knowledge and best practices and engage in continuing professional development. iii) Ensure that they do not copy or plagiarise any other therapist’s website or promotional material without expressed prior permission. A complaint may be brought by any member of the public who is using the services of a Member of the IAEBP, or by a Member of the IAEBP in respect of another Member. The complaint should be made in writing and marked for the attention of the Complaints and Discipline Officer of the IAEBP (see contact address). The Complaints and Discipline Officer will acknowledge receipt of the complaint in writing within 14 days and will endeavour to investigate and resolve the matter within 28 days, confirming the outcome in writing to the complainant. In the unlikely event that the matter is not resolved to the satisfaction of the complainant, he/she has 28 days in which to ask for the complaint to be referred to the Complaints and Disciplinary Committee of the IAEBP. The Complaints and Disciplinary Committee will review all information relating to the complaint. Potential outcomes are that they decide to undertake further investigation, they may wish to meet the complainant and/or therapist in person or they may decide that the complaint should be heard within a formal hearing. The Committee will be made up of three Members of the IAEBP Council of Management and a professional who is external to the organisation, thereby enabling the Committee to have an independent and impartial element. The external committee member will be a professional such as a medical doctor, psychiatrist, or professional of similar standing. All decisions that are reached, or investigations undertaken, will be conducted in a manner which shows due regard for the gravity of the situation and respects both parties’ rights to confidentiality. All enquiries and interviews shall be fully documented and all material, e.g. notes, messages, audio and videotapes etc., shall be preserved and held on file. This procedure does not take precedence over criminal investigations or child protection investigations. Therefore, in situations where the seriousness of the complaint has warranted these other processes to be initiated, this procedure will be placed on hold until after their conclusion. All decisions will be recorded in writing and held on file. Throughout the second stage (i.e. if the Complaints and Disciplinary Committee become involved) both the complainant and therapist must be informed of their right to have a friend present. The IAEBP reserves the right to publish details of complaints as it considers appropriate. The termination of IAEBP Membership under the Complaints Procedure may be reported in an appropriate organ of the IAEBP. In certain circumstances, the IAEBP also reserves the right to inform other professional organisations of the termination of Memberships.